Nu știu dacă e adevărată, dar povestea despre Kafka și micuța care și-a pierdut păpușa este minunată. Nu cred să mă fi emoționat ceva mai mult în ultima vreme. Am citit-o într-un roman de Paul Auster, The Brooklyn Follies ( tradusă la noi sub titlul Nebunii în Brooklyn, pe care o recomand cu cel mai mare drag și respect pentru cărțile bune) și îmi întrerup lectura pentru a v-o spune și vouă, prin cuvintele lui Auster. Am făcut ceva cercetări pe net și am mai descoperit câteva referințe, aici și aici (de unde reproduc și paginile de roman). Din păcate, dacă au existat cu adevărat, scrisorile au dispărut. Tind să cred că sunt poate capodopera pierdută a lui Kafka, fiindcă doar din umanitate, din omenie, din dragoste se poate naște o adevărată operă. Puțină durere, ceva inocență și multă iubire. 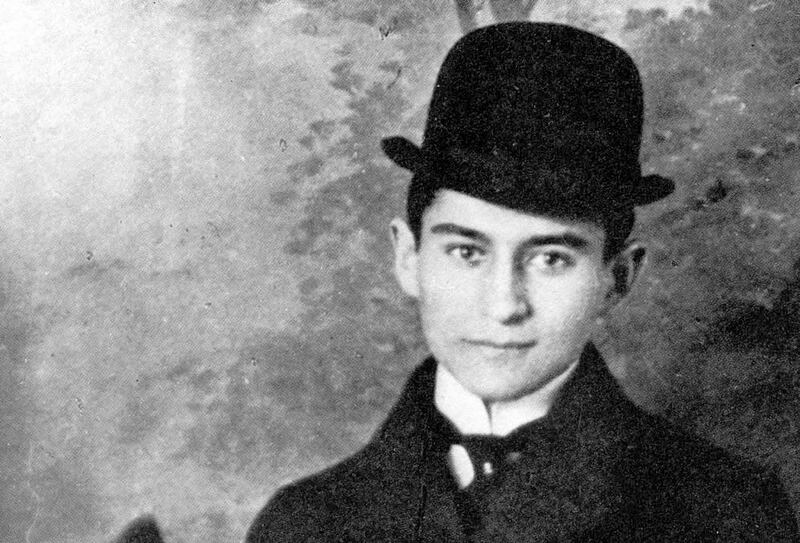 ”It’s the last year of Kafka’s life and he’s fallen in love with Dora Diamant, a young girl of nineteen or twenty who ran away from her Hasidic family in Poland and now lives in Berlin. 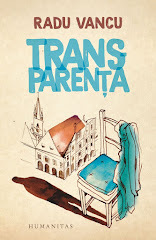 She’s half his age, but she’s the one who gives him to courage to leave Prague. Every afternoon, Kafka goes for a walk in the park. More often than not, Dora goes with him. One day, they run into a little girl in tears, sobbing her heart out. Kafka asks her what’s wrong, and she tells him that she’s lost her doll. He immediately starts inventing a story to explain what happened. Kafka goes straight home to write the letter. He sits down at his desk, and as Dora watches him write, she notices the same seriousness and tension he displays when composing his own work. He isn’t about to cheat the little girl. This is a real literary labour, and he’s determined to get it right. If he can come up with a beautiful and persuasive lie, it will supplant the girl’s loss with a different reality—a false one, maybe, but something true and believable according to the laws of fiction. The next day Kafka rushes back to the park with the letter. The little girl is waiting for him, and since she hasn’t learned how to read yet, he reads the letter out loud to her. The doll is very sorry, but she’s grown tired of living with the same people all the time. She needs to get out and see the world, to make new friends. It’s not that she doesn’t love the little girl, but she longs for a change of scenery, and therefore they must separate for a while. The doll then promises to write the girl every day and keep her abreast of her activities. That’s where the story begins to break my heart. 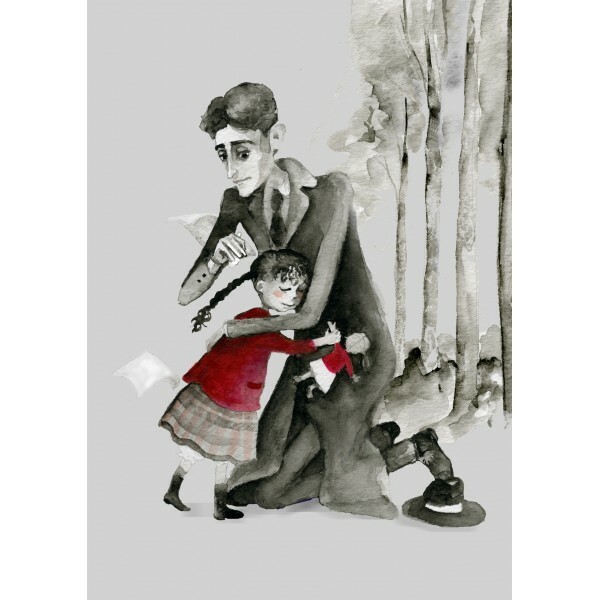 It’s astonishing enough that Kafka took the trouble to write that first letter, but now he commits himself to the project of writing a new letter every day—for no other reasons than to console the little girl, who happens to be a complete stranger to him, a child he ran into by accident one afternoon in the park. What kind of man does a thing like that? He kept it up for three weeks, Nathan. Three weeks. One of the most brilliant writers who ever lived sacrificing his time—his ever more precious and dwindling time—to composing imaginary letters from a lost doll. Dora says that he wrote every sentence with excruciating attention to detail, that the prose was precise, funny and absorbing. In other words, it was Kafka’s prose, and ever day for three weeks he went to the park and read another letter to the girl. The doll grows up, goes to school, gets to know other people. She continues to assure the girl of her love, but she hints at certain complications in her life that make it impossible for her to return home. 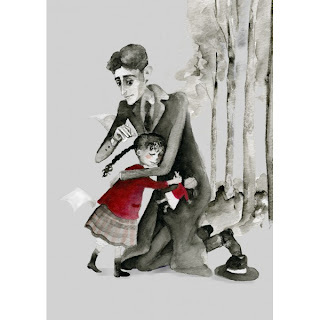 Little by little , Kafka is preparing the girl for the moment when the doll will vanish for her life forever. 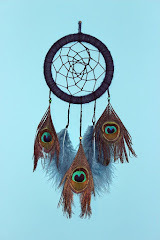 He struggles to come up with a satisfactory ending, worried that if he doesn’t succeed, the magic spell will be broken. After testing out several possibilities, he finally decides to marry off the doll. He describes the young man she falls in love with, the engagement party, the wedding in the country, even the house where the doll and the husband now live. And then, in the last line, the doll bids farewell to her old and beloved friend. Nu e ceva mai minunat în toată biografia lui Kafka, despre care știam că a fost un om extraordinar. Înțeleg acum că era, pe lângă un scriitor desăvârșit, și un om profund bun. O să-i citesc cu alți ochi cărțile.